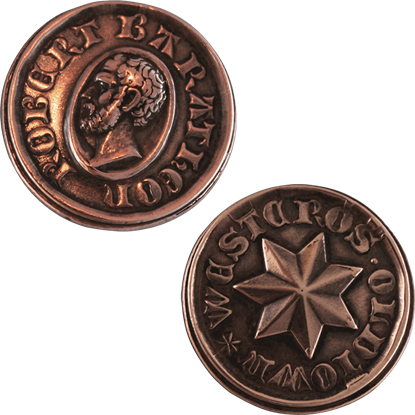 It is customary when a new king is crowned to have coins minted in his honor. 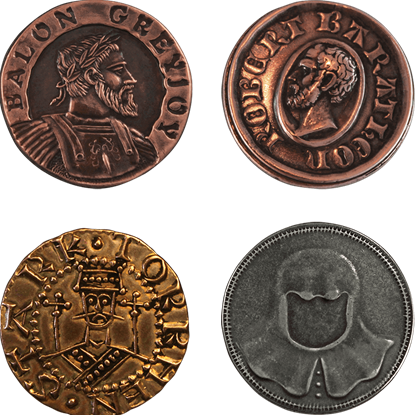 Throughout their rule, more coinage will bear the kings likeness. 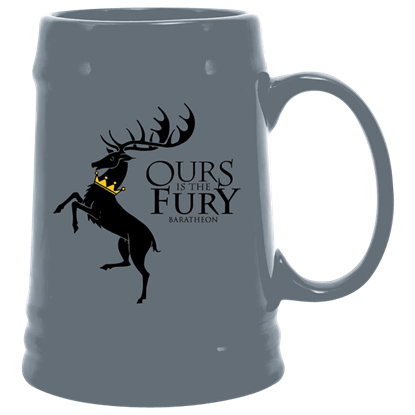 This Copper Star of King Robert Baratheon bears the likeness of the king late in his rule. 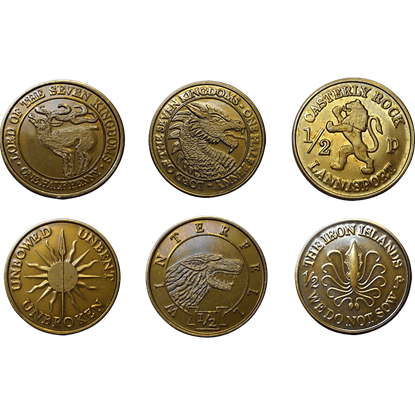 In George R. R. Martins A Song of Ice and Fire series, Westeros is a beautifully detailed nation, complete with currency to make its world go round. 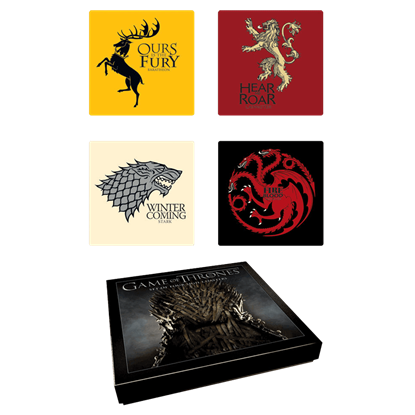 This Game of Thrones Coins of Westeros Set allows you to own a few coins of the realm. 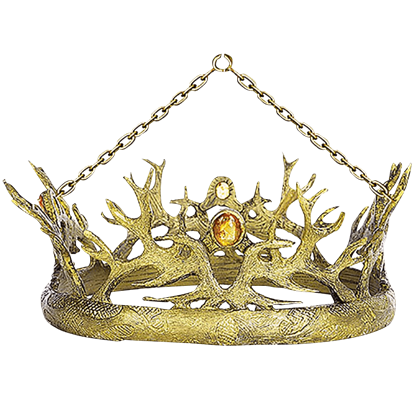 The Game of Thrones Crown Ornament is a beautiful holiday decoration modeled after the Royal Crown of the Houses Baratheon and Lannister, worn by Robert Baratheon and Cersei Lannisters golden haired sons in the hit HBO fantasy series. If there is one thing Game of Thrones is notorious for, it is the slaying of its characters. 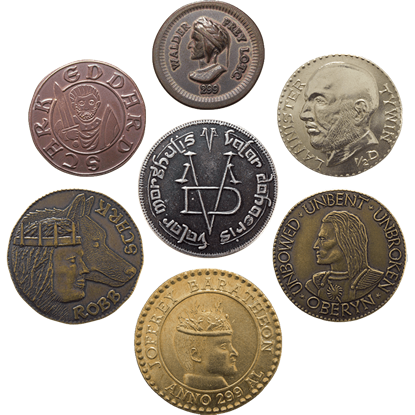 The Game of Thrones Dead Men Coins commemorate some of these characters, both loved and hated, as well as the gruesome ways they met their ends. 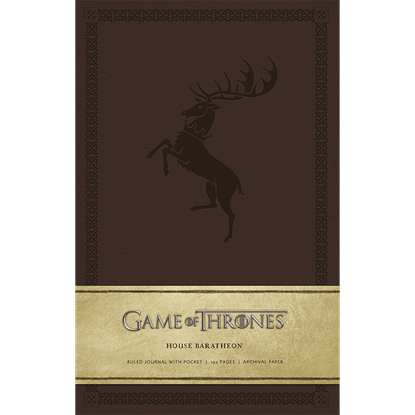 This Game of Thrones House Baratheon Journal can be a wonderful accessory for any fan of the TV series or books. Take a page from George R.R. Martins book and begin to chronicle your day or ideas within this elegant item. 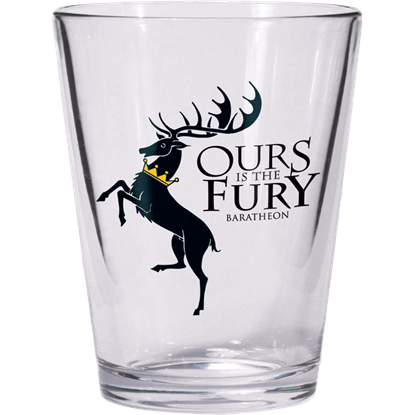 This Great House once made its seat in Storms End, holding great power in Westeros, living by the motto, Ours is the Fury. Now it lays fallen, practically extinct. 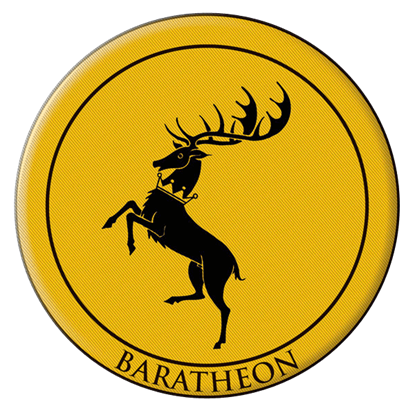 Its proud sigil appears on the Game of Thrones House Baratheon Magnet. 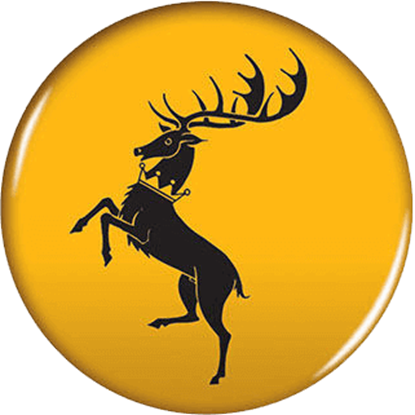 While several Great Houses exist, only four have the nobility, power, and claim to the throne that make their emblem easily recognized. 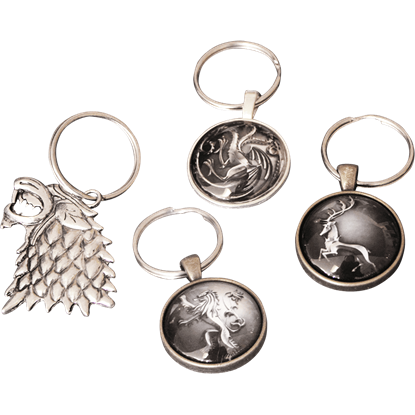 Boast the House that you believe deserves the crown with the Game of Thrones House Sigil Keychain.